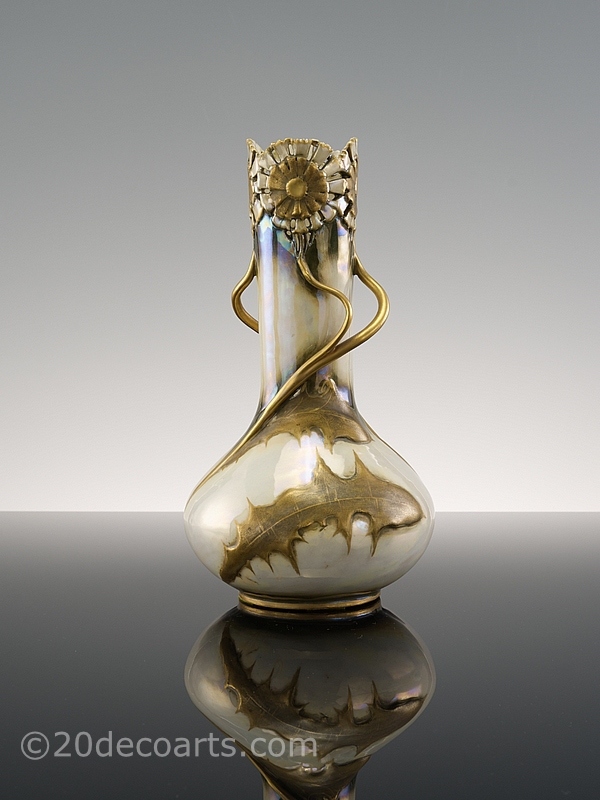 Amphora / Riessner, Stellmacher & Kessel, an Art Nouveau "ivory porcelain" vase Bohemia circa 1900-1905, white glazed with a mother-of-pearl gloss, brown patina and matt / satin enamel and gilt finish. Model number 497. 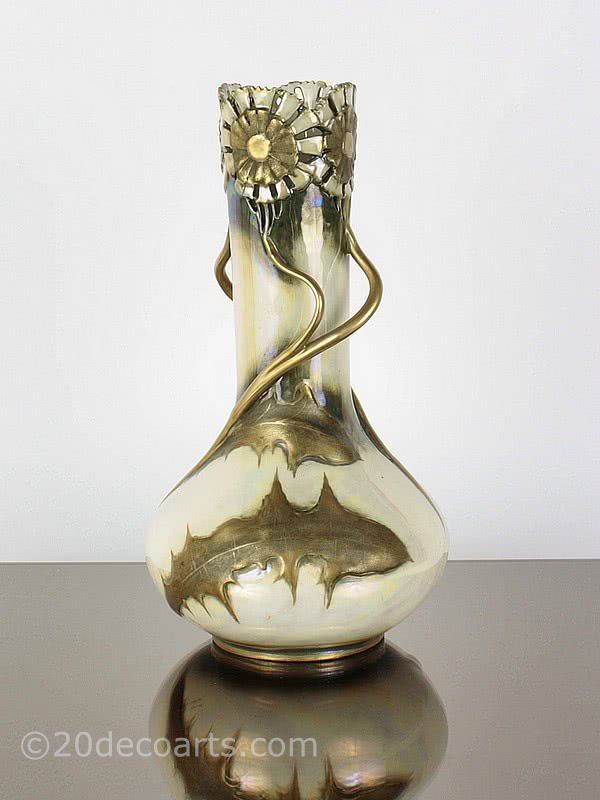 More examples of this decoration can be seen above in the book "The House of Amphora" 1890-1915 by Richard L Scott, page 128.